Google quietly posted on the data anomalies page that there was a "bookkeeping error" on Google's end that may result in a drop in the number of pages indexed and number of indexing errors for your apps. If you have mobile apps verified with the Google Search Console, you may see this in the crawl status report. I checked mine and I do not see any changes in indexed count or errors but I do not have any errors, so maybe that is why? 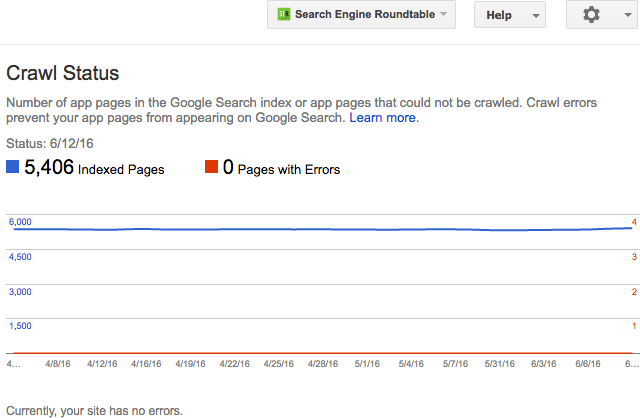 Some apps may see a drop in the number of pages indexed and number of indexing errors. This is due to a bookkeeping error on our part. The data now shows a more accurate count of pages that have been indexed. This change does not affect your impression or click counts. I have not heard complaints about this yet.